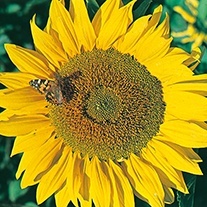 Sunflower Seed, Flower seeds delivered direct by D.T.Brown seeds. 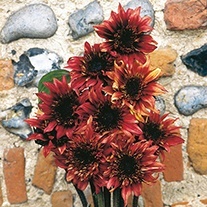 Sunflowers are the perfect choice for adding a burst of colour to almost any space! 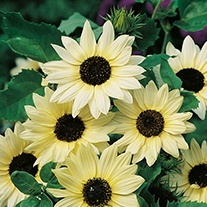 These hardy annuals are easy to grow and remarkably tough with many varieties being tolerant of heat and drought. 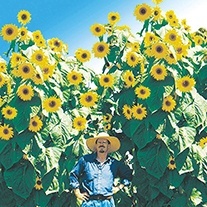 Sunflowers can grow to reach heights of over 16 feet, although many varieties have been developed for growing in smaller spaces and patio containers. 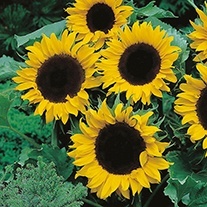 The flower heads are produced on strong, sturdy stems and are perfect for using for cut flower displays. 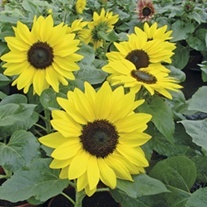 If you're looking at attracting beneficial pollinators to the plot then sunflowers are the perfect choice- the large open flower heads are loved by bees! 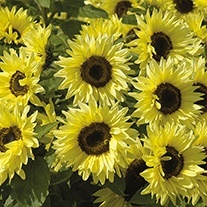 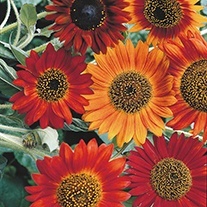 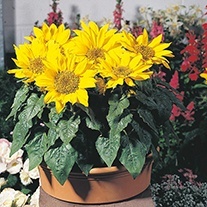 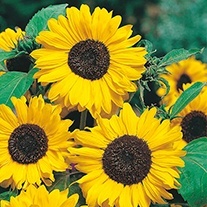 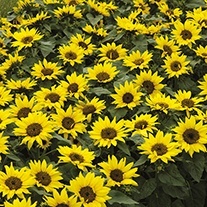 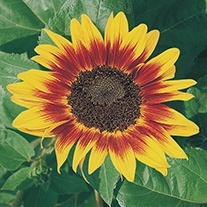 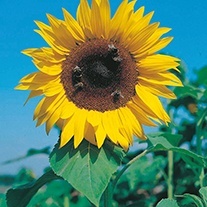 Sunflowers thrive when planted in positions which receive lots of sunshine throughout the day. 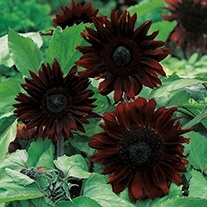 For best results we recommend preparing your soil with plenty of garden compost or manure (such as Orgro). 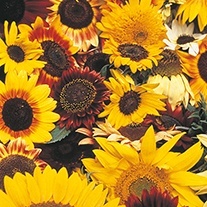 Sunflowers seeds can be sown direct into their growing positions from March-May after the risk of spring frost has passed.